With the 2014 Winter Olympics about to start, a look at classic foods of the Russian culture only seems appropriate. One of the best dishes to ever come out of Russia has to be the Kulebiaka. Similar to the pies that you would see in contemporary British food, a Coulibiac is a pastry pie that is filled with a general mixture of ingredients. You’ll normally find salmon or sturgeon in there with some rice, onions, dill, and mushrooms. Contemporary versions of a Kulebiaka might substitute couscous or another starch for the rice, while you can also find incredible vegetarian versions that have cabbage and potatoes. 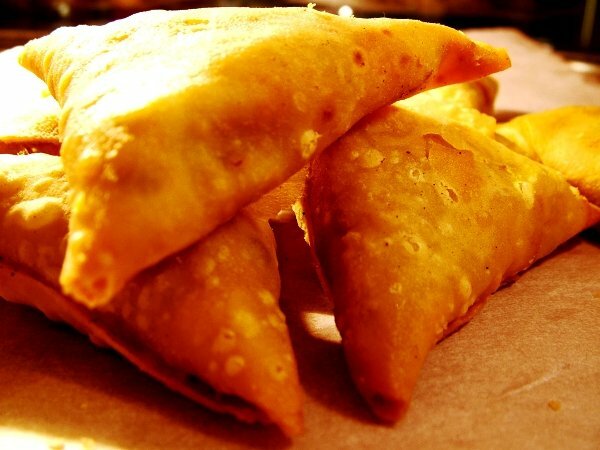 The key to making a good Kulebiaka is to have a firm, yet flaky pastry or bread that surrounds the filling. Think about what you’d see on top of a chicken pot pie and that’s the kind of pastry you want to have for your Kulebiaka. If you’re in a pinch, a generic puff pastry from the grocery store would also work to create this Russian culinary masterpiece. You Know It’s Good If the French Steal It! The French, who call this dish a Coulibiac, discovered that these Russian hot fish pies were a most excellent idea. So good, in fact, that they’d take them on as part of their cuisine as well. Many credit the noted chef Auguste Escoffier as being the one to bring these pies to France. His most famous cookbook even includes several Kulebiaka recipes! What is different about the French version of this dish is the level of butter that is used to create it. To make sure the Coulibiac cooks properly, vent holes are placed in strategic locations around the top of the pie. Then you’d put in a generous slab of butter in each of those vent holes to clog the pie’s arteries as it cooks! Other sauces have been known to be used as well, most notably Hollandaise, but let’s be honest – buttered fish with rice and herbs is a winning combination. Of course we’ve discussed the traditional fillings you’d find in a Kulebiaka, but you can put just about anything in there and call it tasty! One of my favorite non-traditional versions of this dish is what I like to call the Shepherd’s Kulebiaka. The filling I create is the exact filling you’d get with a Shepherd’s Pie [lamb, carrots, onion, peas, potatoes and a little parsley], gravy and all, but then it gets surrounded with the Kulebiaka’s flaky goodness. Instead of using rice, the mash goes in below, not above, the rest of the ingredients. One of the unique variations that the Russians and French have taken with this dish is to use vesiga as the primary protein of the dish. Vesiga is the spinal marrow of the Sturgeon that has been removed in one long piece. The vesiga is dried and it looks like one long, gelatinous ribbon before it is prepared! It was considered an upper-class ingredient when its use was popular, but it is nearly impossible to locate this ingredient today. That’s right – the traditional Kulebiaka also includes hard boiled eggs as part of the dish. In many ways, it is the ultimate leftovers meal for a cold Russian winter’s evening when you need to save some money. Mix the flour into a dough, take the leftovers you have that you don’t want to spoil and wrap it with that dough, and then bake it until it tastes wonderfully good! Brown the bread by basting it with some butter periodically during the cooking process and you’ve got yourself a culinary delight! If you’re planning on watching the coverage of the 2014 Winter Olympics from Sochi, why not try making a Kulebiaka and complete the experience? Come join the fun and see what the world eats! Yummy! What is the recipe please? Once that dough is made, simply wrap your chosen ingredients into the pastry to create a “pie.” Bake at 375 for about 30 minutes or so until the pastry is golden brown. For added flavor, baste the pastry with butter about halfway through. Cooking times may vary based on how big you make your pie. Let it cool for about 5 minutes before serving!